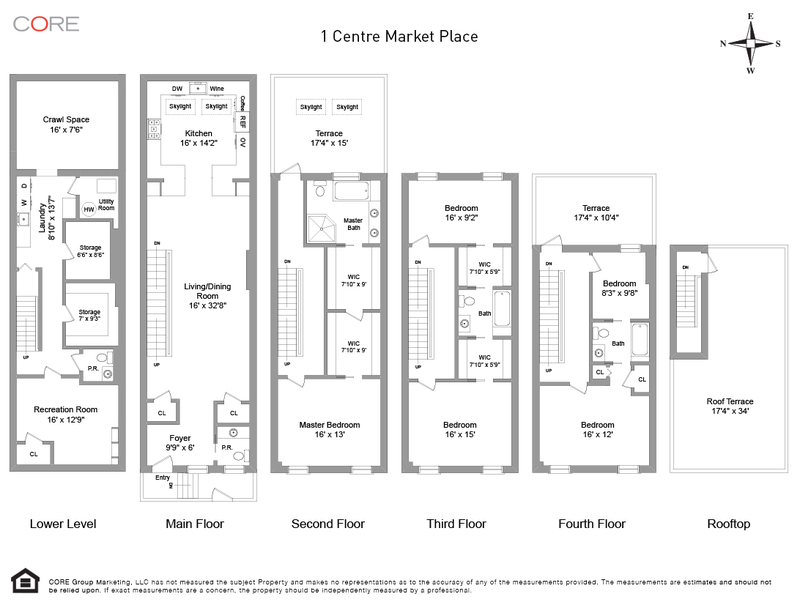 1 Centre Market Place is a sophisticated and contemporary home built in 2006 by the famous NYC designer and developer duo, Robert and Courtney Novogratz. This rare 18-foot wide townhouse, perfectly located on a quiet, low traffic block on the border of Soho and Nolita is truly a unique offering. 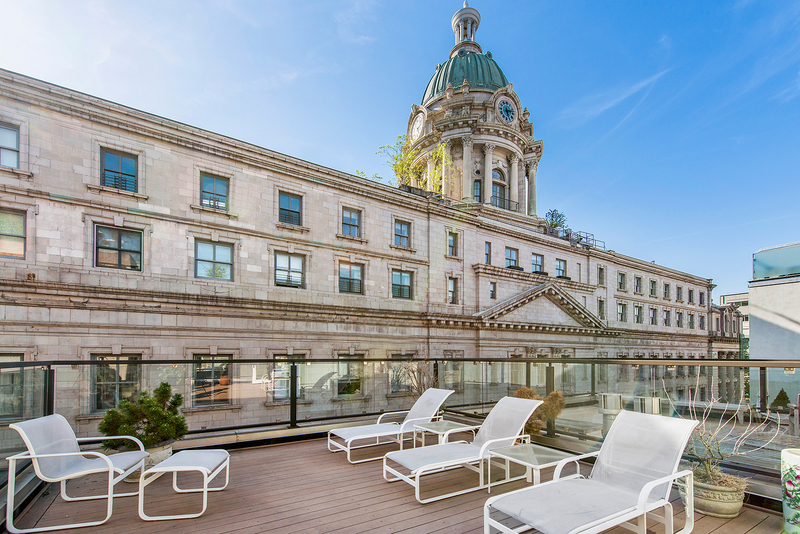 The four story 4,100-square-foot home has everything your heart desires including 5 bedrooms, 3 full bathrooms, 2 powder rooms, 2 terraces and a beautiful sun drenched roof deck overlooking the magnificent Renaissance Revival dome of the famous Police Building. On the main floor the spacious living room and gourmet chef's eat-in kitchen feature custom wooden cabinetry, stone countertops, Viking cooktop/oven/warming drawer/microwave, Sub-Zero refrigerator, Miele espresso machine, Miele dishwasher and 2 skylights. Encompassing the entire second floor, the master suite includes a terrace, massive walk-in closet with custom built-ins and large master bathroom with a soaking Jacuzzi tub and stand up shower. The third and fourth floor offer 4 additional bedrooms, 2 split bathrooms and 2 walk-in closets. The fourth floor also has a terrace. In addition, there is a finished basement with heated floors, powder room, enormous crawl space for additional storage and a laundry room with sink and Maytag W/D.